NEW: Flower Power York will be here giving away flower bulbs! 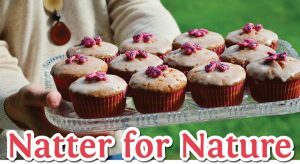 Pop along to a coffee morning with a difference – learn about nature at St Nicks, have a go at the treasure trail, browse photos from the early days of reclaiming the old rubbish tip which is now home to 866+ species and help raise funds for extending the Environment Centre by eating lots of cake. If you have any photos and/or memories of what St Nicks was like before the year 2000, please do come along to share them. We’re putting together a book about St Nicks history so we’re looking for personal stories and historical photos to include in it. We’re particularly keen to hear from the Tang Hall Tigers, or anyone else involved in transforming the old rubbish tip, and those who remember the brickworks before that. This event is part of our Big Give Christmas Challenge during which all donations will be matched pound for pound thanks to the Garfield Weston Foundation.